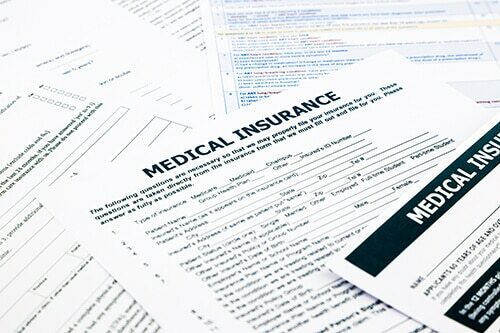 We gladly accept most health insurances at Oviedo Chiropractic. We want each an every patient to be able to have affordable payment options when they come in for treatment. We have been granted access to mostly all of the insurance companies that are open to chiropractic. We have a well-trained staff that is knowledgeable about insurances and would be happy to verify your insurance for you. If you are a patient without insurance or if your insurance copay/deductible is not favorable don’t worry, we have options for you as well. Please call our wonderful billing staff and we would be happy to go over those options with you. As a growing office in the Oviedo community, we focus on our honesty and integrity. When we sit down with a patient on their first visit, we give them a full examination, including a neurological evaluation, orthopedic evaluation, x-rays if necessary, and a treatment on your first visit. Efficiency is important to us, making sure that you get your diagnosis in understandable terms, as quickly as possible. When you leave our office, you will not have any questions about your care because we will explain everything to you. Joint manipulations come in many forms. We utilize many different techniques to maximize the benefits of your care while minimizing the amount of times you have to visit the office. Our end goal is to heal your ailments and move toward wellness care. In your initial visit, Dr. Cough will explain the amount of visits that you’ll need. Our patient visit averages are much lower than most chiropractors, because we educate and heal, as quickly as possible. Our office features massage therapy, a great complement to the bone and nerve aspects, focusing on the muscles, keeping your entire body in harmony. We also serve children to make sure the spine is aligned from early in life. What we have found at our office is that children that have good spinal health avoid sickness easier and have more powerful immune systems. Due to our efficiency and focus on patient communication, we take pride in a quick patient experience. We try not to have wait times exceed 10 or 15 minutes. Our process is proven and executed successfully throughout the years we’ve been a part of the Oviedo community.